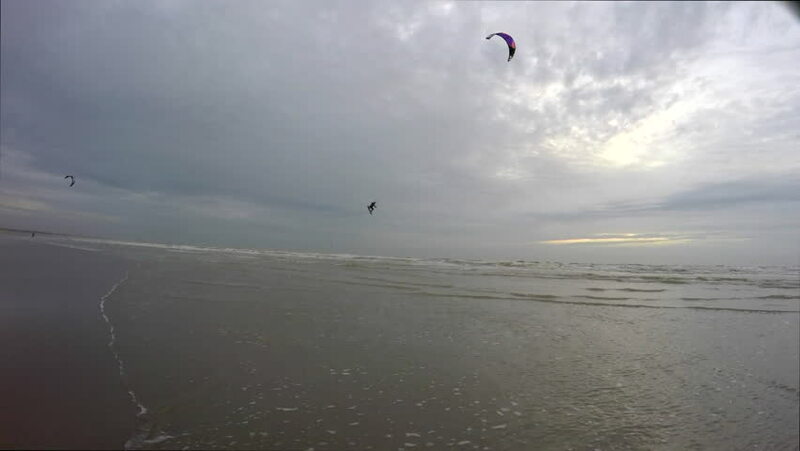 Slow motion shot of a kite surfer flying through the air and landing. hd00:11seagulls fly over the Wadden sea, Frisian islands, Holland. hd00:13The sea in cloudy day.